Samsung is undoubtedly looking to fill the voids left by the Note 7 via its upcoming flagship Galaxy S8. We have heard a lot of rumors and also got a ton of leaks about the device from specifications to the design. Here we have yet another live image of the phone that shows nothing more than the bottom of the smartphone. Many users were unable to figure out from the previous live image if the phone has USB Type-C port or not and well, today’s leak shows that the S8 is surely going to have the USB Type-C Port. Luckily, we still are going to see the 3.5mm headphone jack on the device, and it’s nice to know that the company hasn’t yet made the mind to ditch this one also along with hardware buttons. Talking about the image above, we can see the 3.5mm jack along with the USB Type-C port and speaker grill. This surely looks like the typical Samsung design for its flagships. The phone is Black in color from front and silver from the back side as we can see in the image. 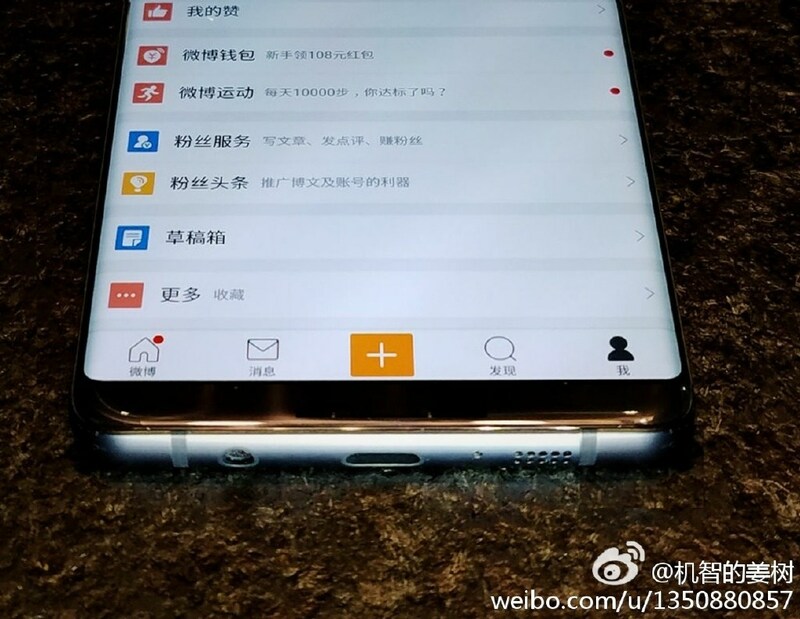 The leak came from the Chinese social media platform, Weibo and it seems the Weibo app was open at the time the picture of the phone was clicked. 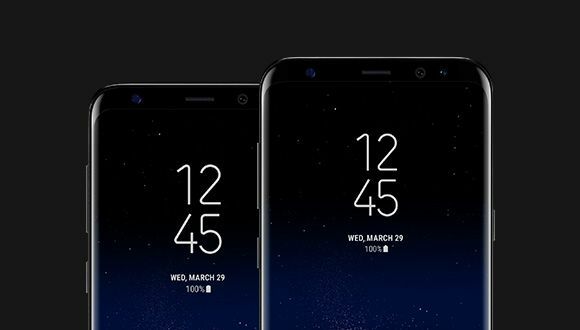 Also, the Galaxy S8 is going to have a dual curved screen, and the same thing can be seen above. Again, it has been confirmed that there won’t be any hardware or capacitive buttons on the front and screen will cover the major part of the front. Talking about expected specifications, the S8 is going to feature a 5.8 ( 6.2 for Plus model) inch screen which will be Quad-HD. The phone is powered by Snapdragon 835 along with Adreno 540 GPU and 4GB of RAM. 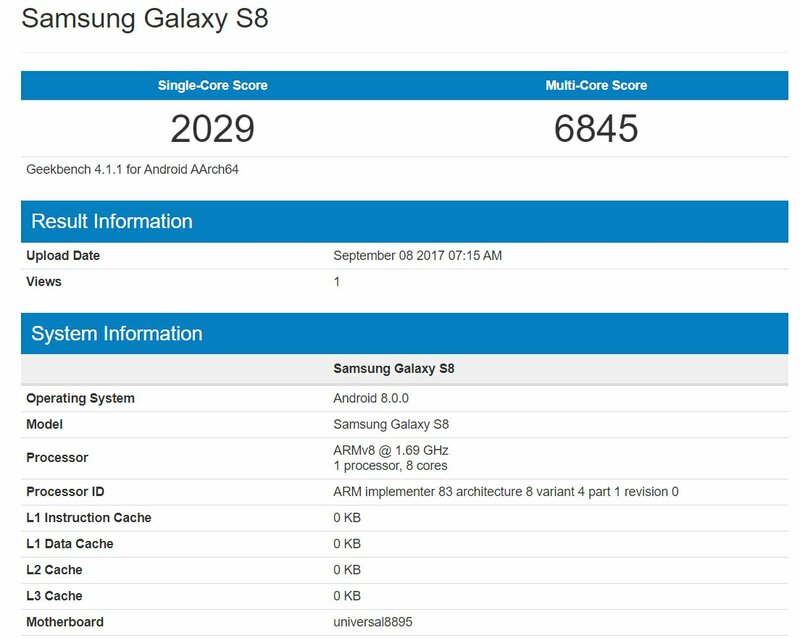 The standard S8 is going to feature 3,000 mAh battery whereas we will see 3,500 mAh battery on the S8 Plus. There are also reports of the new ‘Bixby’ AI Assistant that is coming in the S8, and there will be a dedicated button to launch the Assistant. Overall, the phone is surely going to be a beat regarding specs. Let’s wait till March 29th and hope for some more clarifying leaks. Stay Tuned!